In 1994, the Keewaytinook Okimakanak Kuhkenah Network (KO-KNET) began to develop and provide internet infrastructures and services for the remote First Nation communities in Northwestern Ontario, Canada. Public and private institutions have been reluctant to invest in this “high cost serving area” with no year-round road access, where residents have to travel by plane for medical treatment or to meet with relatives and where people have to move to southern towns to continue their high school education or to find work. In close cooperation with the region’s First Nation communities, KO-KNET has built local broadband internet infrastructures to provide services such as cell phone communication, e-health, online learning, videoconferencing, and personal website hosting. Overall aim of this initiative has been to give people a choice to stay in their remote home communities. For my first field trip to Northwestern Ontario in 2006, I decided not to fly but to take the train from Toronto to Sioux Lookout, Northwestern Ontario’s transportation hub. This ride with “The Canadian”, which connects Toronto and Vancouver, took about 26 hours and demonstrated very vividly the vastness of Ontario. I could not believe that I had spent more than an entire day on a train without even leaving the province. Finally, I arrived at Sioux Lookout, where I would be working with KO-KNET, one of the world’s leading indigenous internet organizations. After my first day at the office, KO-KNET’s coordinator wanted to show me something. We jumped in his car and drove to the outskirts of the town where he stopped in front of a big satellite dish. Only through this dish, he explained, the remote First Nation communities in the North can be connected to the internet. I was pretty impressed, but had no idea how this should really work. While the satellite dish was physically visible to me, the underlying infrastructure of interconnected digital information and communication systems was not. In the weeks and months to follow, I learned about the technical aspects of internet networks and broadband connectivity, about hubs, switches, and cables, about towers, points of presence, and loops. And I found out that internet via satellite might look impressive, but is actually the last resort and a very expensive way to establish and maintain internet connectivity for remote and isolated communities. Over the last 20 years, KO-KNET has been aiming to build digital infrastructures particularly for remote indigenous communities in Northwestern Ontario as well as to provide different internet-related services (e.g., Beaton, 2004; Beaton et al., 2009; Ramirez et al., 2003). While KO-KNET firstly supported only First Nation communities of the Keewaytinook Okimakanak (KO) tribal council, which is an association of six First Nations, and the Sioux Lookout District (about 25,000 people) in Northwestern Ontario, it has started to expand its services to the rest of Northern Ontario and even to neighbouring regions and provinces. Northern Ontario encompasses the territory of the Nishnawbe Aski Nation (NAN), which again corresponds to the areas of James Bay Treaty No. 9 and Ontario’s portion of Treaty No. 5, a region of the size of France with a population of about 45,000. The majority of NAN’s residents are members of Ojibwe, Oji-Cree, and Cree speaking First Nations, living in 49 communities, each with between 100 and 2,000 people. Most of these settlements are remote “fly-in communities” that have reserve status. “Remote communities” in Northern Ontario are defined as having no year-round road access and are generally north of the 50th parallel and/or over 350 km from the nearest service centre. Northern Ontario is situated on the Canadian shield which is mostly covered with boreal forest and crossed by numerous rivers and lakes. Because of these geographical conditions it is expensive and challenging – sometimes even impossible – to connect the remote northern communities with southern towns and centres. The larger communities have elementary and secondary schools up to the age of 14, nursing stations for basic medical and health care, grocery stores, churches, administrative buildings, and airfields. Smaller communities might have none of these. To continue education, visit a doctor or a medical specialist, to do some shopping, or to visit relatives, Northern Ontario’s First Nations people frequently have had to travel to urban centres in the South. Many even have to leave their home communities for good to find a permanent better-paid job or to go to college or university. This remoteness thus leads to isolation, not only infrastructural-wise but also in terms of feeling isolated, being behind the urban centres in the South, being not connected to the rest of the country. During the summer months, travelling in Northwestern Ontario is only possible via airplane, which is a cost-intensive way to travel. Food and basic goods also have to be flown into the communities, where they are sold according to their weight. Thus, a litre of milk or a bag of potatoes become expensive items. 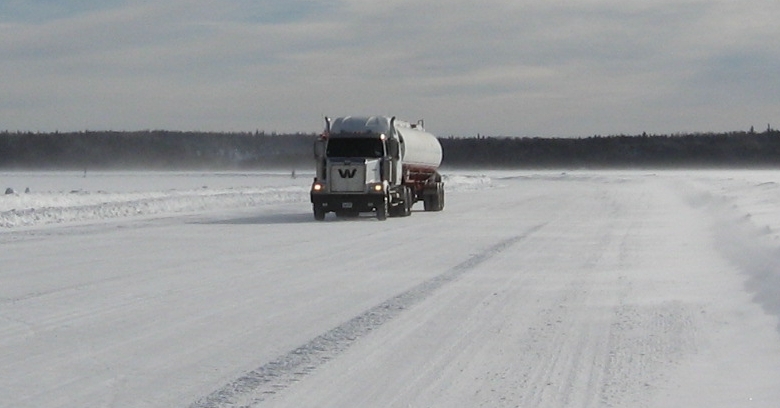 Only during the winter months, when rivers and lakes are frozen, a network of winter roads connects the settlements with each other and the southern towns. But travelling on these winter roads by car over frozen lakes and rivers can become dangerous with temperatures dropping well below -20ºC. Labelling Ontario’s North as “high cost serving area”, the province of Ontario, the Canadian government, and the private sector have been reluctant to invest in the infrastructural connectivity of the northern communities (Fiser, 2009; McMahon, 2011). But as the KO-KNET case shows, the remote communities can be connected to the infrastructural networks of the South. To establish and sustain such infrastructures, it is necessary to cooperate with different stakeholders and to include the local communities and their representatives right from the start. At the beginning of the 1990s, the telecommunications infrastructure in Northwestern Ontario was completely lacking connectivity, computers, and sometimes even phones. So KO’s and KO-KNET’s “vision that was to become realized … was of a First Nations controlled IP network that would ride atop existing leased terrestrial and satellite carrier infrastructure” (Fiser, 2009: 123). And KO-KNET actually managed to secure more and more funding, mainly by competing for provincial and national project funds, to build the much needed and eagerly awaited ICT infrastructures. The biggest project in this early phase was an Industry Canada’s SMART Communities demonstration project which KO-KNET managed to acquire in 2000 as the only indigenous competitor with a grant of almost C$5 million to be matched with an additional C$5 million from other resources (Fiser, 2009; Ramirez et al., 2003). This project and several follow-up projects allowed KO-KNET to develop online learning and telemedicine services as well as to establish e-centres for public internet access in selected First Nation communities. But it also opened federal doors in terms of networking and cooperation (Fiser, 2009). It is important to note that governmental subsidies usually include the hope that one investment will make up for another – usually more expensive – investment. To (co-)subsidize digital infrastructures, for instance to facilitate telemedicine services, holds the promise of saving governmental money for other investments such as doctors’ visits to the remote communities. This paper about KO-KNET is part of a digital media anthropology project that was conducted for six years, including ethnographic fieldwork in Northwestern Ontario and in several online environments to get a deeper understanding about the meaning of digital infrastructures and internet technology appropriation in the specific contexts of Northwestern Ontario. I realized that it has been a constant challenge and struggle to create, develop, and maintain the local telecommunication infrastructure and communication services (e.g., Bell et al., 2012; Budka, 2009, 2015, 2017; Budka et al., 2009). I also learned how important organizational partnerships and collaborative projects are and what role social relationships across institutional boundaries play. In short, I learned about the infrastructures which are actually necessary to finance, provide, and maintain internet access and use. Infrastructure, KO-KNET’s coordinator told me, “really defines what you can do and what you can’t do” (KO-KNET Coordinator, personal communication, 2007). Today, digital infrastructures in Northwestern Ontario facilitate land-line and satellite broadband internet as well as internet cell phone communication, constituting thus the regional backbone for all internet-related services and programs. The actual backbone remains the internet connectivity infrastructure controlled, maintained, and managed by Bell Canada from Canada’s urban centres. KO-KNET is only leasing specific connections which are up to eight times more expensive for the remote First Nation communities than for urban population groups (e.g., Fiser, 2009). By simple definition infrastructures are “build networks that facilitate the flow of goods, people, or ideas and allow for their exchange over time” (Larkin, 2013: 328). Infrastructure is not technology, it can rather be understood as “objects that create the grounds on which other objects operate” (Larkin, 2013: 329). These objects, furthermore, operate in systems. Infrastructure therefore is a system which enables the functioning of technological objects and things. Susan Leigh Star (1999) argues that infrastructure, as the relation of things, might be to some extent not visible. For her, this invisibility is one of infrastructure’s key properties. Brian Larkin (2013), on the other hand, states that infrastructure, or at least parts of it, is in many cases highly visible, like the KO-KNET satellite dish in Sioux Lookout. He (2013: 336), therefore, speaks of “hypervisibility”. This (in)visibility of infrastructure depends on individual situations and conditions and is often mobilized for political reasons. For Star (1999) infrastructure is a relational concept with multiple meanings and not a purely technical or technological phenomenon. It also includes the social relationships people establish in the course of creating technological connections and networks. Infrastructures are therefore closely related to organizational phenomena and processes (e.g., Pinch, 2009; Star, 1999). The cooperations and partnerships with different stakeholders – from governmental organizations and the telecommunication industry to the local communities – enabled KO-KNET to develop into a regional social enterprise and to establish one of the world’s most successful community broadband network models that is owned and controlled by indigenous people (Fiser, 2009; see also Fiser & Clement, 2012). 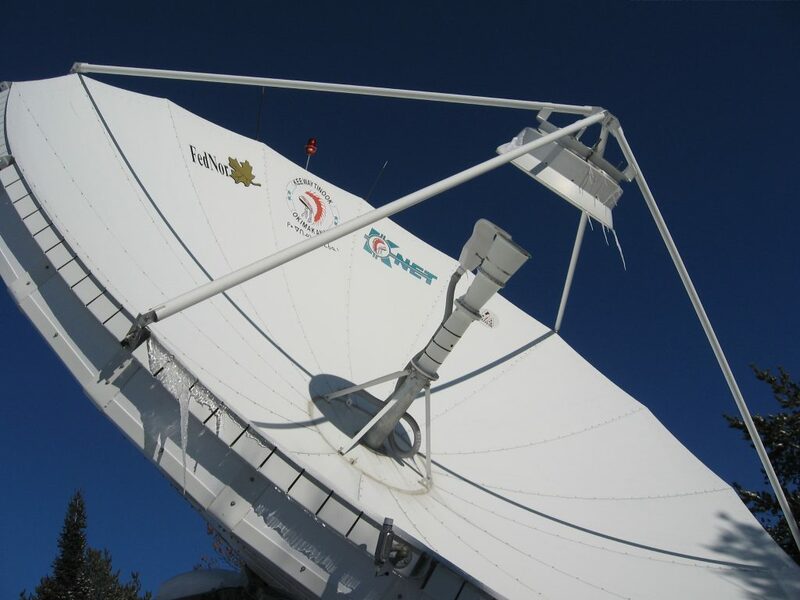 This success can be measured by the number and the value of projects KO-KNET has been able to acquire and complete, by the established infrastructures in the remote communities, and by the initiatives which are following the KO-KNET broadband community model in other regions (e.g., Fiser & Clement, 2012). And, of course, it is the people’s everyday usage of different services which build on the digital infrastructures that indicates KO-KNET’s success. Adam Fiser (2009: 7) highlights the importance of governance – including questions about control, ownership, collaboration, and cooperation – which is “paramount for the local negotiations of broadband deployment in communities”. By putting the focus on the role of governance in ICT initiatives, it is possible to reveal “an emergent and evolving communications-information infrastructure that mirrors the complexity of societies and parallels their historically contingent pathways” (Fiser, 2009: 7). For Fiser (2009) a feasible internet broadband governance model has to involve governments, industry, and non-governmental organizations. Such a model includes, on the one hand, “technological and economic actors as well as the social systems” (Fiser, 2009: 37). On the other hand, this governance model pays particular attention to the relationships partners and collaborators establish and maintain. Organizations applying such a model can thus be referred to as “social enterprises” (Fiser, 2009: 36-37). KO-KNET, according to Fiser (2009: 39), is such a social enterprise because it includes the properties of being a “carriage level network of community networks, a system of governance, and a social economy organization”. In media and visual anthropology, anthropologists are, among other things of course, interested in how indigenous, disfranchised and marginalized people have started to talk back to structures of power that neglect their political, cultural and economic needs and interests by producing and distributing their own media technologies (e.g., Ginsburg, 1991, 2002b; Michaels, 1994; Prins, 2002; Turner, 1992, 2002). To “underscore the sense of both political agency and cultural intervention that people bring to these efforts”, Faye Ginsburg (2002a: 8, see also 1997) refers to these media practices as “cultural activism”. “Indigenized” media technologies are providing indigenous people with possibilities to make their voices heard, to network and connect, to distribute information, to revitalize culture and language, and to become politically engaged and active (Budka, 2017; Ginsburg, 2002a, 2002b). I understand technology appropriation not as a techno-deterministic one-way street, but as a reciprocal process of changing relationships between humans and technologies. In the centre of such an approach are thus relationships (Bateson, 1972/2000) and processes (Miller, 2005), not “a thing” or “a people”. Claudio Aporta and Eric Higgs (2005), for instance, suggest to conceptualize technology appropriation as a system of sociotechnical relationships people establish and maintain with technologies; and to focus on the (changing) contexts of technology production, utilization, and exchange. This holds the potential to “free us from the assumption that technologies always unfold in the ways they are intended to” by considering the changing nature of technology (development) and its relation to (changing) society and culture (Sandvig, 2012: 191). Digital media technologies, such as the internet, are not the magic bullet. They are rather tools for indigenous communities to contribute to local problem-solving. KO-KNET can be understood as a collective project that includes the local communities and non-indigenous partners in building and maintaining a digital infrastructure. This project is not without conflicts, contradictions, and difficulties. Social inequalities and changing power relations have led to conflicts in the communities and between the project partners. Gender aspects, changing age relations, and social status play crucial roles here. Thus, the appropriation of digital technologies, as a system of sociotechnical relationships between people and technologies, is not an isolated process. It is rather embedded in sociocultural, political, and economic realities that are constantly challenged and changed. The dynamically shifting contexts of technology production and appropriation are therefore particularly important. While the utilization of digital media technologies by indigenous peoples hold the potential to share knowledge, to preserve and protect culture and language, it also has its limitations (e.g., Ginsburg, 2008; Landzelius, 2006a). The commercialization of digital services and applications and the lack of ownership and control of infrastructure can interfere with the protection and sharing of cultural elements. That’s why KO-KNET has been adopting a self-controlled and self-owned community model for digital infrastructures and services. This means that First Nation communities have taken over the local internet infrastructure. They control and maintain it according to their own politics and policies, but in dependency of non-indigenous funding bodies and partners and in the wider context of governmental policies. Aporta, C., Higgs, E. (2005). Satellite culture: Global positioning systems, Inuit wayfinding, and the need for a new account of technology. Current Anthropology, 46(5), 729-753. Bateson, G. (2000). Steps to an ecology of mind. Chicago: University of Chicago Press, orig. published 1972. Budka, P., (2009). Indigenous media technology production in Northern Ontario, Canada. In K.-D. Ertler & H. Lutz (Eds. ), Canada in Grainau / Le Canada à Grainau: A multidisciplinary survey of Canadian Studies after 30 years (pp. 63-74). Frankfurt am Main: Peter Lang. Budka, P. (2017). Indigenous media technologies in “the digital age”: Cultural articulations, digital practices, and sociopolitical concepts. In S. Yu & M. Matsaganis (Eds. ), Ethnic media in the digital era. Manuscript submitted for publication. Ginsburg, F. (1997). “From little things, big things grow”: Indigenous media and cultural activism. In R. G. Fox & O. Starn (Eds. ), Between resistance and revolution: Cultural politics and social protest (pp. 118-144). London: Routledge. Ginsburg, F. (2002a). Screen memories: Resignifying the traditional in indigenous media. In F. Ginsburg, L. Abu-Lughod & B. Larkin (Eds. ), Media worlds: Anthropology on new terrain (pp. 39-57). Berkeley: University of California Press. Ginsburg, F. (2002b). Mediating cultures: Indigenous media, ethnographic film, and the production of identity. In K. Askew & R. Wilk (Eds. ), The anthropology of media: A reader (pp. 210-235). Malden, Blackwell. Ginsburg, F. (2008). Rethinking the digital age. In P. Wilson & M. Stewart (Eds. ), Global indigenous media: Cultures, poetics, and politics (pp. 287-305). Durham: Duke University Press. Landzelius, K. (Ed.). (2006a). Native on the net: Indigenous and diasporic peoples in the virtual age. London: Routledge. Larkin, B. (2013). The politics and poetics of infrastructure. Annual Review of Anthropology, 42, 327-343. McMahon, R. (2011). The institutional development of indigenous broadband infrastructure in Canada and the United States: Two paths to “digital self-determination”. Canadian Journal of Communication, 36(1), 115-140. Michaels, E. (1994). Bad Aboriginal art: Tradition, media, and technological horizons. Minneapolis: University of Minnesota Press. Miller, D., (2005). Materiality: An introduction. In D. Miller (Ed. ), Materiality (pp. 1-50). Durham: Duke University Press. Pinch, T., (2009). The social construction of technology (SCOT): The old, the new, and the nonhuman. In P. Vannini (Ed. ), Material culture and technology in everyday life (pp. 45-58 ). New York: Peter Lang. Prins, H. E. L. (2002). Visual media and primitivist perplex: Colonial fantasies, indigenous imagination, and advocacy in North America, In F. Ginsburg, L. Abu-Lughod & B. Larkin (Eds. ), Media worlds: Anthropology on new terrain (pp. 58-74). Berkeley: University of California. Sandvig, C. (2012). Connection at Ewiiaapaayp Mountain: Indigenous Internet infrastructure. In L. Nakamura & P. A. Chow-White (Eds. ), Race after the Internet (pp. 168-200). New York: Routledge. Star, S. L. (1999). The ethnography of infrastructure. American Behavioral Scientist, 443, 377-391. Turner, T. (1992). Defiant images: The Kayapo appropriation of video. Anthropology Today, 8(6), 5-16. Turner, T. (2002). Representation, politics, and cultural imagination in indigenous video: General points and Kayapo examples. In F. Ginsburg, L. Abu-Lughod & B. Larkin (Eds. ), Media worlds: Anthropology on new terrain (pp. 75-89). Berkeley: University of California Press.